Whether it's graphic or digital design, UX or typography – these podcasts are engaging, helpful and inspiring for anyone in the design sector. It may seem a little counterintuitive to listen to a podcast about design when there are no visual aids. But there’s something very natural and easy about having a podcast play in the background of your daily routine. We always want to learn new information, better our discipline, and hear what other people are doing. These free design podcasts are a way to get inspired, find purpose and context to the work you’re doing, or simply open your mind to a world of opportunities. Some podcasts have been around for years and attract millions of listeners, such as 99% Invisible, others have just started up this year such as ustwoCHATS, but all are equally worth a listen. Check out more of our picks below. If visuals are more your thing, check out our list of the best design films, TV series and documentaries. Debbie Millman started Design Matters as a "little radio show" where she could ask her design heroes everything she wanted to know about them. She started broadcasting live from a telephone modem in her office and distributing them free on iTunes. Design Matters is now one of the anchor shows on Design Observer’s media channel and it's produced from the School of Visual Arts in New York City. 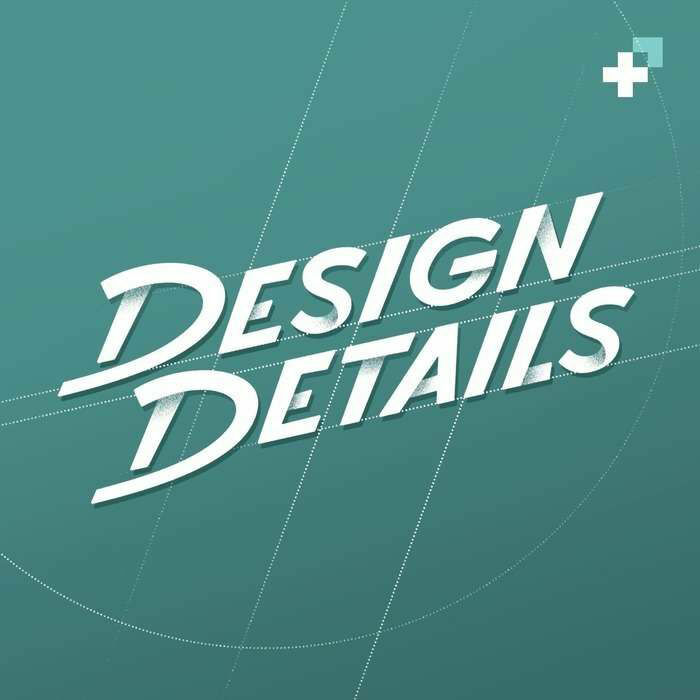 It's one of the most widely known design podcasts with numerous awards under its belt. Expect to hear discussion on the broad world of creative culture by creative directors, artists, graphic designers, filmmakers, writers, architects and more. There are more than 200 episodes to date, including interviews with Stefan Sagmeister, Chris Ware, Michael Rock, Jessica Hische and Dominique Browning. Listen to Design Matters with Debbie Millman here. Design Observer also runs this podcast, which delves into how design works within a complex organisation to shape decisions and products. Guests of the show include digital directors and entrepreneurs, graphic designers, visual journalists and museum curators. Hosted live by Michale Bierut and Jessica Helfand, the podcast has been recorded at the Yale School of Management since autumn last year. Listen to The Design of Business | The Business of Design here. 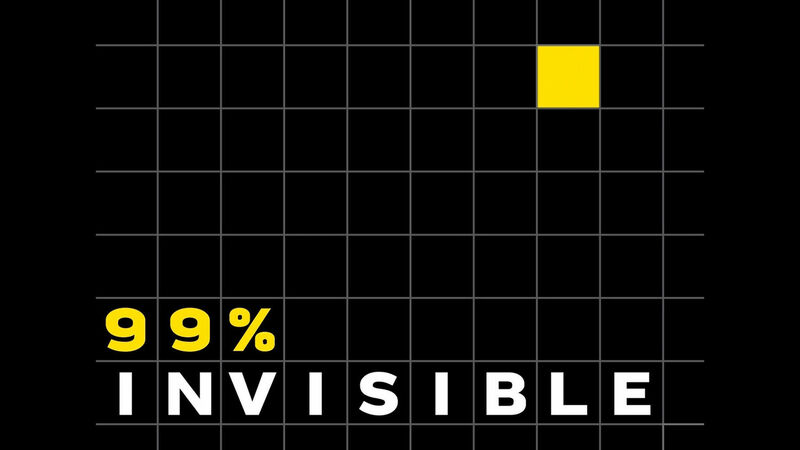 Probably one of the most popular design podcasts with 150 million downloads from iTunes, 99% Invisible will indulge all inquisitive minds. The podcast is about the "thought that goes into the things we don’t think about" - aka architecture - and with the help of funding from listeners and a bumper Kickstarter campaign, the independent station from California has grown dramatically from its organic roots. Host Roman Mars covers topics including infrastructure, technology and a bit of history to keep your mind ticking. Roman himself doesn’t hold a degree in architecture or design, but that just makes it all the more impressive. He was named one of the 100 Most Creative People in 2013 and was a TED main stage speaker in 2015. His crowd funding campaign for 99% Invisible was one of the most successful ever for a podcast, and he's a founding member of the radio collective Radiotopia. If that’s not enough to convince you to check out 99pi, then have a listen for yourself here. It’s no hidden fact that making a living and making great art can often be difficult. 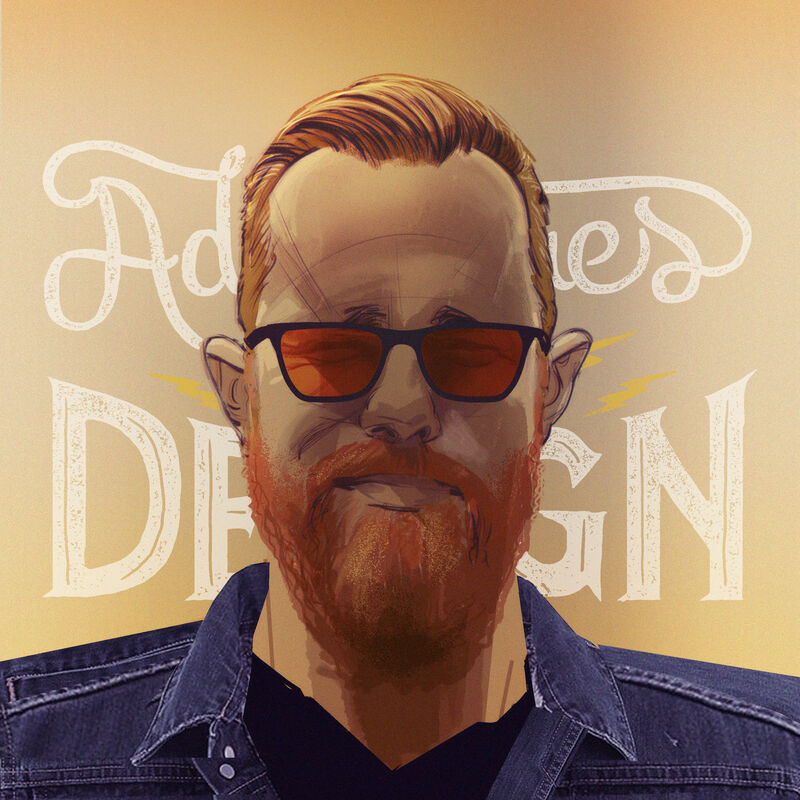 In this podcast, freelance illustrator Andy J Miller aims to help creative make a plan for a successful career through personal stories, interviews, and the odd ridiculous analogy. Get advice on how to stand out, build a sustainable income and thrive, and how to turn obstacles into opportunities. 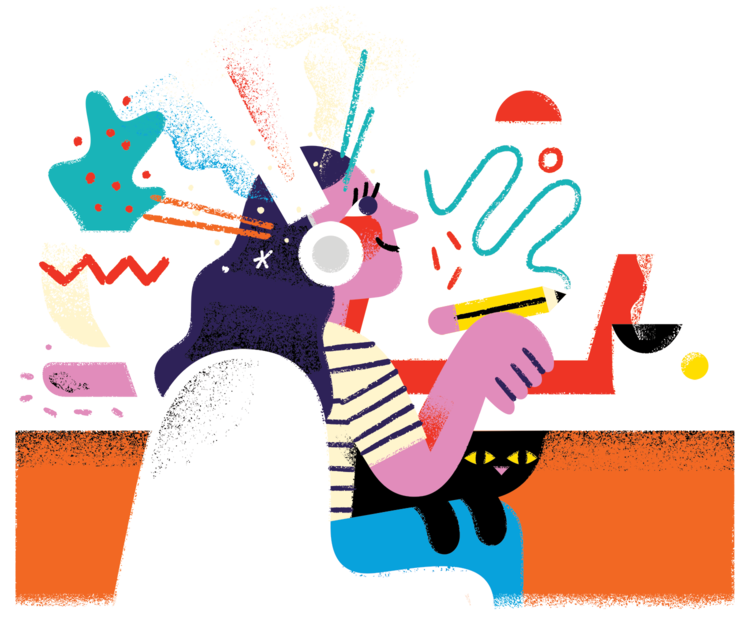 Creative Pep Talk is genuine and easy-listening, and we love the cheeky illustrations to accompany each episode. Have a listen on Soundcloud. Also check out Andy J Miller’s recent T-shirt design work for Coup. Hosted by founder of design consultancy Blind Chris Do, The Futur podcast’s “sole purpose is to help you achieve success”. Aimed at anyone from student, freelancer, in-house to agency owner, The Futur is an online resource providing alternative design education when universities and design schools are often too inaccessible or expensive. Alongside downloadable branding worksheets, consulting and videos, you can subscribe to the podcast, which covers branding, design, business and UX with inspirational talks on conquering fear, breaking the mould, but also useful tips such as how to close deals. Learn from a team of successful creative entrepreneurs, creative directors and designers who are current practitioners – “The Futurists”. Global design studio ustwo has just launched a new podcast series called ustwoCHATS with host Nina Drakalovic. It seems like they’ll be tackling the big issues with a range of guests, with the first episode taking a look at the changing landscape of the entertainment industry, and key trends for media and entertainment in 2018 such as Netflix, Hulu and how to keep audiences engaged in an increasingly cluttered market. ustwo have spoken to us on a range of design and industry issues, such as diversity and autonomous vehicles. Have a listen to the ustwoCHATS first episode. London-based freelance motion designer and animator Hayley Akins has recently launched an online learning hub called Motion Hatch – aiming to provide advice and insight into the business side of motion graphic design and animation as a freelancer. Motion Hatch is made up of online learning material suggestions, a Facebook group you can sign up to and a bi-weekly podcast hosted by Hayley. Expect to learn about what you should charge your clients, whether you should have a contract and if you should be branding as a freelancer or studio on the bi-weekly podcast, featuring Joey Korenman of School of Motion, Lilian Darmono on confronting inequality as a woman and a minority and Magoz about being a nomadic illustrator among other interesting freelancers. Listen to the Motion Hatch podcast either on the website or download from iTunes. 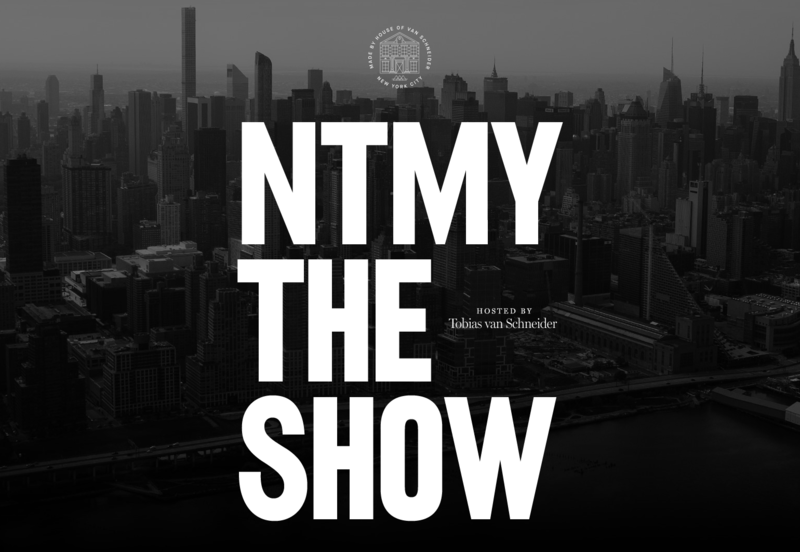 The NTMY (Nice to Meet You) Show is hosted by German designer Tobias van Schneider from New York City. 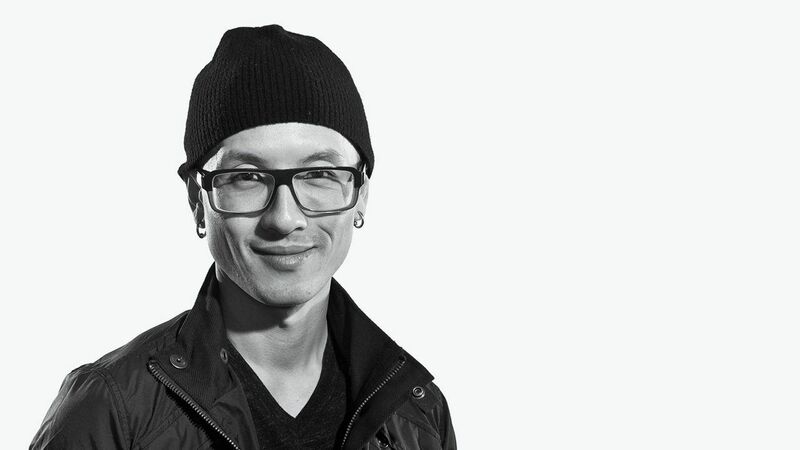 Tobias is the founder of Semplice (a study portfolio system based on WordPress), has previously worked as a lead product designer and art director at Spotify and works with clients such as Wacom, Google, Sony and Ralph Lauren. His show description is kept minimal – “a personal conversation-based podcast with makers, builders and no bullshitters”. 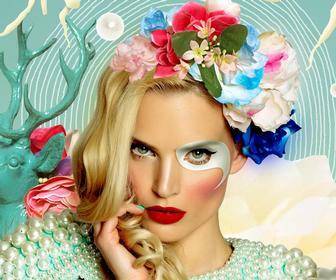 Previous guests include Stefan Sagmeister, London-based fashion designers and French illustrator Malika Favre. For inspiration on how to design in the modern world, to living a waste-free life, check out The NTMY Show on iTunes. Mark Brickey takes listeners on a daily journey of creativity, exploring how others design and remain happy in their professional lives. Admittedly not always a podcast that sticks to topic, Adventures in Design has racked up over 400 podcasts every Monday to Friday, one of the few creative-led podcasts that provides daily morning talk. You can listen to Adventures in Design free here, or opt for the paid subscriber content with its various perks – The Circle of Trust – here. If you don’t mind a bit of preamble and some genuine English lads chatting about web design, then you’ll happily listen to the Boagworld show every Thursday with hosts Paul Boag and Marcus Lillington. It’s a little slow-paced, with episodes nearing 60 minutes rather than 30 minutes, but honest discussion is relatable – no pretentiousness here. Where do you fit time in to research and read? How do you track the success of your blog post? Paul and Marcus have guests on the show to talk about the challenges of usability testing, understanding chatbots, basic tips and recommendations to make your working life easier and other helpful content for designers, developers and website owners. You can subscribe for free via iTunes here. 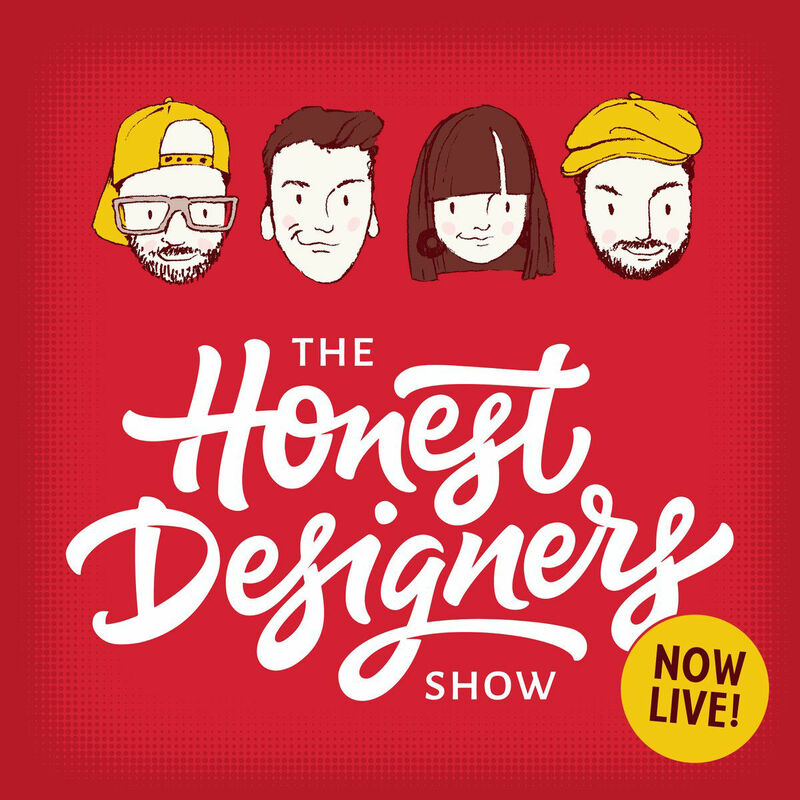 The show is pretty self-explanatory – Tom Ross, Ian Barnard, Dustin Lee and Lisa Glanz talk openly about trying to find your own style as a modern designer – whether you’re a freelancer or work in a studio. The hosts share tips to help you land more clients, successfully brand yourself and find satisfaction in your work. The Honest Designers Show on Design Cuts began in January 2017 but the information is completely fresh and relevant. Learn how to deal with burnout, overcoming self-doubt and developing your style. This podcast on spec.fm features a number of designers from digital services and platforms we use everyay – Dropbox, Facebook, Treehouse, Airbnb and Google to name a few. Hosted by Bryn Jackson and Brian Lovin, it’s relaxed, casual and inviting – essentially offering an open chat with the designers, their background story and their current projects at work and outside of it. You’ll be surprisingly inspired by the interesting side-projects – from buckets as furniture to Easter eggs, this podcast is for someone who enjoys getting to know a person, rather than purely hard and fast information about design. 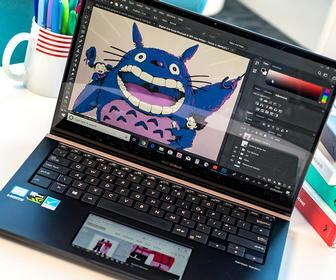 Design Details is part of a wider network, Spec, which was created to help designers and developers learn and connect with each other. It began in 2015 with two independent podcasts by three individuals, but now produces a range of podcasts, so if Design Details isn’t up your street, have a look at the others. Have a listen to Design Details here. Get a weekly dose of creative advice with this podcast hosted by designer and director Ash Thorp and Andrew Hawryluk. On his own journey of figuring out the best work/life balance, Ash shares experiences of influential creative from “all realms of media”, including designers, illustrators, VFX artists, writers, painters and programmers. Hailing all graphic designers, this podcast is you for you. Hosted by graphic and web designer Mark Des Cotes, whose got 25 years experience behind him, the Resourceful Designer podcast imparts advice, tips and resources to willing and eager ears. Verging on the slightly nerdy side, this podcast doesn’t muck around, yet gives practical tips on anything from talking to clients to building a portfolio. 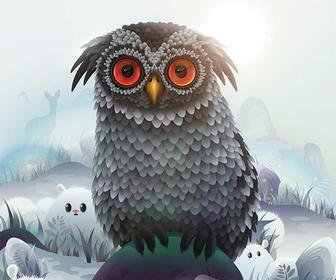 AnimDojo is an online training program for animators who wish to learn Autodesk Maya, created by London production studio Blue Zoo Animation. To go alongside its subscription-based online courses, they have just set-up a free-to-listen podcast run from the AnimDojo YouTube account. The AnimDojo Podcast differs from other animation podcasts because it focuses on the craft and career tips, in a no-nonsense practical approach. So if you’re an animator, or hoping to become one, this podcast is definitely worth a listen. The second episode covers how to build a perfect showreel. Since the podcast is in its initial stages, AnimDojo freely invite people to give feedback on what you’d like to hear. Listen to the AnimDojo podcast here.